A 23-year-old Irishman is facing up to 50 years in a Thai prison after he allegedly tried to sell a kilo of cannabis to undercover police officers. The young Irishman was busted in a sting operation led by officers from Crime Suppression Divison in Chiang Mai, Northern Thailand early last week after police claimed that he tried to deal drugs to undercover officers. The man has been named locally as Ciaran Barry Duggan. Local media report that police arranged to meet the 23-year-old outside of the Chiang Mai Night Plaza Boutique Hotel on Monday October 19 after placing an order with him online. Crime Suppression Division Commander Lt.Gen Akkaradet Pimolsri claims the Irishman was arrested as he attempted to sell a kilo of marijuana to officers for 200,000 baht (€5,090). A video posted online shows the young man denying all knowledge of the incident and accusing officers of trying to set him up. The Department of Foreign Affairs said it is providing consular assistance to the man. Reports say he was charged with various drug offenses and was remanded in custody pending further investigation. 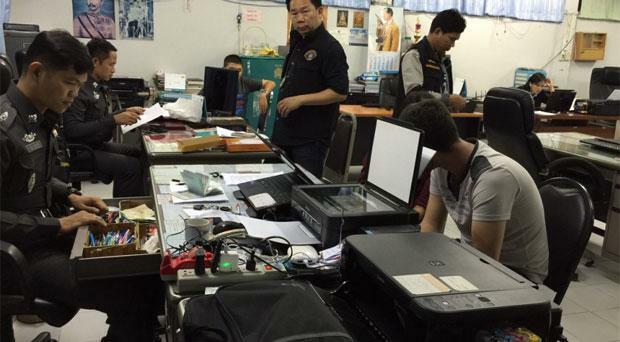 A spokesman for Chiang Mai Police confirmed that the arrest of a man from Ireland had occurred on October 19. It's likely that he will not appear before the Thai courts until 2017. If convicted he faces a maximum sentence of 50-years behind bars. Thailand is well known for lengthy penalties for drug offenders.